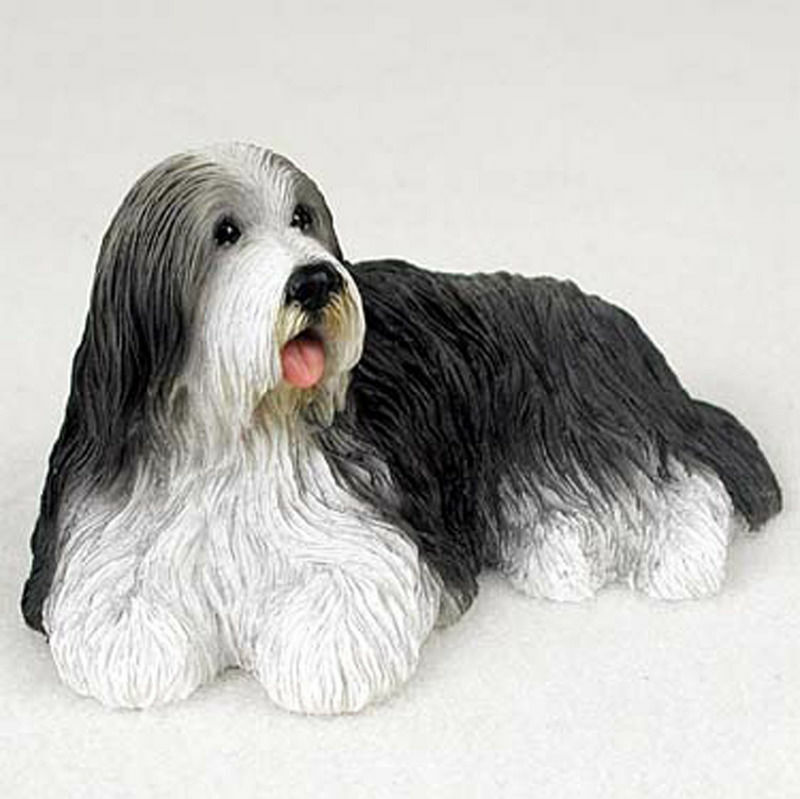 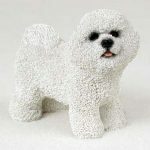 Our Petit Basset Griffon Vendeen figurines are one of the longest and heaviest dog figurines we sell at DogLoverStore. 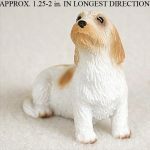 The figurine is low to the ground and rectangular in shape with the length of the breed longer than the height of the figurine. 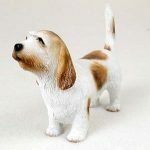 The head and erect tail are proportional to the long character of the figurine. 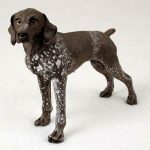 Brown and white cover the Petit Basset Griffon Vendeen figurine. The entire figurine is white with brown on the nails, around the mouth, under the eyes, top of the head and ears. Brown patches are also visible on the tail, rear, sides, and back of the fore shoulder.